Click Here For Excerpt From Book! Submit your family's old remedies! Click here! First-time parents: have no fear, your bedside reading companion has come to save the day...or night! 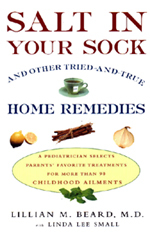 Salt In Your Sock and Other Tried-and-True Home Remedies™ (Three Rivers Press, February 2003), by Dr. Lillian Beard, is a compilation of more than one hundred antidotes for your children's most common illnesses. 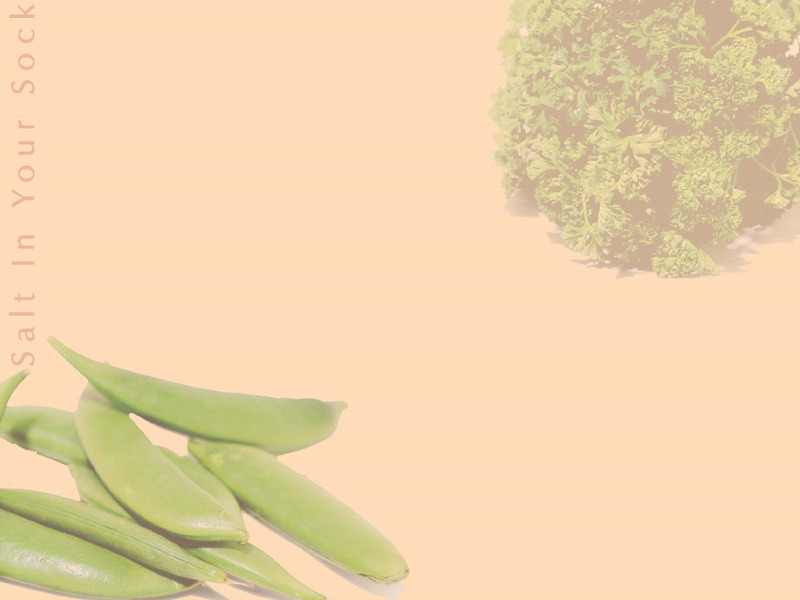 As a practicing pediatrician for more than twenty-five years, Dr. Lillian Beard has collected hundreds of secret recipes passed along by her patients’ families, some treasured for generations, that use all-natural ingredients to bring relief for a multitude of common ailments. Now she shares those families’ favorite cures in a book that blends the best of traditional medicine and time-tested folk wisdom. Beard begins Salt in Your Sock™ by helping parents assemble an all-natural medicine cabinet, including many everyday items you probably already have in your cupboard. ginger, garlic, onions, oatmeal, baking soda, lemons, tea, and more. This A to Z guide to the ailments that most commonly affect children includes a complete description of each problem, warning signs for when you need to call the doctor, a review of conventional treatments, and a Parents’ Report for what works. Whether your concern is a baby’s rash, colic, or teething pain, or your teen’s agony with acne, Dr. Beard offers a variety of suggestions from parents who have used them for decades. She also steers parents away from quack remedies that can do more harm than good. Does your child have an earache? Fill a sock with salt warmed in a frying pan, then gently hold the sock against the painful ear. Diaper rash? Dab milk of magnesia on the spot, or try the Italian cure of a garlic oil rub. Salt in Your Sock™ is the perfect combination of an experienced pediatrician’s sage advice and parents’ folk wisdom. It may reduce your calls to the doctor and help you work more effectively with your pediatrician to comfort and soothe your sick child.